Vern Burkhardt (VB): Which of Carl Jung's observations and theories have most influenced your thinking? Scott Schwefel: Two things come to mind. One is his theory from Psychological Types, the work that he produced in 1921, in which he developed the theory that each individual has a personality type, and he coined the terms "Introversion" and "Extroversion." The second was Jung's explanation for what he believed were two basic kinds of functions which people use in their lives to make decisions. He talked about our information-gathering functions – how we perceive things – as being intuition or sensing. Our decision-making capabilities are either thinking-based or feeling-based. This model has become so profound that it is the basis for the majority of all psychological typing systems used in the world today. VB: In I Think I'll Stand Up you say, "Too many of us have spent a lifetime climbing the ladder of success, only to realize that it was leaning against the wrong wall." How can we know if it is leaning against the right or wrong wall? Scott Schwefel: Socrates talked about an unexamined life not being worth living. The degree to which people become introspective about who they are and whether they are doing their life's work often comes from adversity rather than success. Oddly enough the greatest impediment to a self-aware and self-examined life is continued success. For some people the first time they do a personal assessment is after they have reached the pinnacle. They have climbed the ladder of success without pausing on the way, and it's at this point they realize they are not moving forward in their lives. At this point they may come to the realization it's the beginning of the end. VB: What do you mean by the beginning of the end? Scott Schwefel: Very much like the Jungian psychology where Jung talked about "high noon." It is a point in every person's life where, instead of having more, getting more, and becoming more, we pause and reflect on the fact that there is an end-point. By becoming aware that there is an end-point this reflection leads us to say, "I need less. I might be able to do less. What is my legacy? How will I give back and, as I examine my life, have I lived it well?" VB: Do you believe that leaving a legacy is important for most people? Scott Schwefel: It's absolutely important but just like self-introspection, it's a part of people's lives that many forget to pay attention to until they stop and look back. They may realize that what they have done for 20, 30, or 40 years in their adult life has actually produced a legacy, but it may not be the legacy they would leave by choice. VB: What advice do you have for those who say they don't have a passion for their work or for anything else for that matter? Scott Schwefel: I would challenge them because I believe every one of us has a potential passion for something. One of the challenges many people face is it's sometimes hard to align their passion with their work. The truth is if not related to their work they will have a passion for something else, and there's work that they can do which relates to whatever that something else is. The key is they need to find it. VB: It is unfortunate if your work isn't related to your passion. Scott Schwefel: I believe it's the case for the majority of people. The majority of people wake up every day and do work which is uninspiring to them. One of my favorite questions is, "If you won the lottery would you continue to do the same job?" I suspect that 9 out of 10 people would say, "No, I would move onto something new." VB: I gather what you do is definitely your passion. Scott Schwefel: It's very much my passion. I joke with people that if I won the lottery I wouldn't fly commercial any more, but I would absolutely still do the same work. VB: You strongly recommend that we write down our goals and read them everyday. Why is this so important? Scott Schwefel: Not uniquely tied into the Jungian psychology, but a huge component of Jung's work was talking about the subconscious or the collective unconscious. The things happening in our lives for which we are not consciously aware for the most part drive and determine who we are and what we become. The simple act of writing down and defining personal goals for ourselves moves these conscious desires into our subconscious so our subconscious can begin to work toward achieving those goals for us or on our behalf. VB: Does it work the other way around as well – our subconscious triggers our conscious mind? Scott Schwefel: Yes, and the greatest challenge with this is many of us wake up with subconscious patterns and programs running in our minds which we don't realize are moving us in directions contrary to our goals rather than towards our goals. Until we spend some time to examine what those patterns and programs are we may be unaware of them, but they are still controlling where we go. VB: You advise that all of the successful people you know have integrity and character. Are these becoming rare traits in the business and political world? Scott Schwefel: They're not becoming rare but they aren't highlighted in any positive or tangible way. Unfortunately the things the world sees, the banking crisis or greed in the banking industry being one example, and what's being talked about is the exact opposite of those traits. VB: Perhaps the banking world is an isolated situation. Scott Schwefel: I think it is, but when was the last time you saw a news story touting the fact somebody made a highly positive, high integrity move within any industry? For some reason it's not newsworthy, and we don't pay attention to it. VB: Is this the nature of the media, or is it the nature of reality? Scott Schwefel: I hate to say this because it's a bit of a 'chicken and the egg' issue, but I believe our media reflects who we are and what we want to see. VB: "The world exists not merely in itself, but as it appears to me." Would you talk about this quote from Carl Jung? Scott Schwefel: Jung realized that our personal filter of perception determines what we see and know to be true in the world. Our personal filter determines what we perceive as needing change. Leonardo da Vinci also talked about everything that we know to be true in our lives had to pass through our filters of perception, and all our knowledge has its origins in perceptions. So we put our own personal spin on the things we know to be true. Life is largely determined by how we choose to take the information in and make sense of it for ourselves. VB: You say, "The only thing you can change is yourself." Would you talk about this idea? Scott Schwefel: It's a simple idea, and yet many choose not to take responsibility for making the changes in their own lives that will have an impact on the world and people outside of them. It's easy to blame others, such as our boss or spouse, or our jobs, for the negative things that happen in our lives. The truth is when we look in the mirror we'll always see the person that can be responsible for and drive changes in our lives. VB: "Our perception determines our version of reality, and to each person it is independently unique." Do you agree that this insight is empowering? Scott Schwefel: It can be empowering when we choose to take action on it, when we choose to engage. Throughout any given day and in any given opportunity we choose our personal level of awareness. Without realizing it most of us fall short of bringing things to consciousness that can really alter our circumstances and our outcomes. We think we're aware but on reflection we say, "You know what? I could have done more. I could have been more aware. I could have been more of the driving force behind the change I was trying to see or become." VB: I gather you are suggesting that we need to become aware of our thinking, of the direction where we want to go. Scott Schwefel: Actually you just said that perfectly. We have to become aware of what we are thinking which is different than saying, "What are you thinking about?" If you ask someone, "What are you thinking about?" they'll pull their subconscious thoughts into consciousness. But to be aware of what we're thinking in the moment is truly where our consciousness lies. VB: You are Managing Partner of the Scotland-based Insights Learning and Development office in the Twin Cities. Would you tell us about the Insights organization? Scott Schwefel: I started with Insights as a customer for three years using their system. After selling my technology business in 2003 I chose to join Insights by acquisition of a license for the Mid-West although my work with Insights has taken me all over the world in the last 10 years. Insights is headquartered in Scotland. The founders have created an on-line instrument to help people assess themselves and understand their personalities based on the models I described earlier. The instrument can help people understand themselves better, communicate with other people better, and become leaders of organizations using their best or most natural state. VB: The Insights Learning methodology is consistent with your thinking? Scott Schwefel: It's very consistent. In my first conversation with Andy Lothian Senior, the Chairman of the company, I took a business-like approach to interviewing him to make sure there would be a good fit for my relationship with the organization. It was one of the most engaging and enjoyable phone calls I have ever had. In fact, as it ended up in a very thick Scottish accent Andy started laughing said, "You see, lad. I don't think you have a choice anymore but to join us." VB: You describe people's energy in terms of cool blue, earth green, sunshine yellow, and fiery red. How do these colors provide insights into how we think and react, and what type of career should we pursue? Scott Schwefel: Insight's descriptors sit underneath those colors. What's important is not the colors themselves, but what they represent in the Jungian psychology that underpins them. As an example, "cool blue" represents Jung's Introverted Thinking attitudinal couplet, which is the same as exists within the Meyers-Briggs Type Indicator system. It's an indicator of how a person will tend to make sense of their world. Cool blue suggests a person will make sense of the world in an 'Introverted Thinking' or thoughtful way. Earth green is 'Introverted Feeling', which is amiable and patient. Sunshine yellow is 'Extroverted Feeling', and fiery red is 'Extroverted Thinking'. This is where the Jungian psychology plays out. There's a certain way each of us perceives the world, makes decisions, and chooses to make things happen within our world. Ideally, whatever career choice we make recognizes, or we recognize within ourselves, the potential for alignment with the things we do well naturally and the things our job requires of us. Personality type is a component of this. VB: Is the best trait for sales people fiery red energy? Scott Schwefel: There's always a trade-off. Someone who leads with high fiery red is going to be focused on driving results and achieving sales numbers, as an example. But the opposite trait, someone who leads with earth green is likely a calmer, quieter, more thoughtful, and much better listener. If you think about what sales requires, it requires each of us at times to use our fiery red Extroverted Thinking approach to drive forward for results. It also requires us to draw upon and use our earth green to be a thoughtful, empathetic, and caring listener to find out what the customer needs from us. VB: Are you suggesting that a sales team composed of people with different energy preferences would be most successful? Scott Schwefel: It could be a team composed of people with different personalities who come together to deliver customer solutions. As all of the color energies exist within each of us, each of us can learn how to access them when they would best serve us. There are times when you might need to be hard driving, and there are other times when you might need to be a great listener. VB: You say, "In terms of self-awareness it's important to understand the preferred energy you and others use." Why is it important? Scott Schwefel: To go back to the point earlier about being aware of what we're thinking, there is also the awareness of how we are behaving. Our natural color energy preference largely drives the way we tend to appear to others even when we're unaware of our own behavior. If we naturally lead with sunshine yellow without realizing it we will tend to be energetic, enthusiastic, and optimistic when we are not choosing to behave in a certain way. It's our less conscious behavior which others see all the time. VB: How can we learn to understand our own and others' preferred energy? Scott Schwefel: It literally is done in that order. It starts with paying attention first and foremost to the natural color preferences that we personally lead with. It requires introspection. It requires spending some time with ourselves to understand where we fit within the personality type model because we have to have a personal frame-of-reference in order to understand how other people appear relative to where we're coming from. An easy example is if I'm 8 feet tall everyone around me will appear to be short even if they're 7 feet tall, so I better know how tall I am to start with. VB: Will people's reaction to us give us an idea of their color preference? Scott Schwefel: It will be, and it's part of the equation. Part of understanding others is how they react to us but keeping with the same metaphor, we have to understand what parts of their behavior our behavior might be driving. VB: What does it mean to lead with energy of a certain color? Scott Schwefel: I've been mingling the terms preferences and color energies, but what lies under both of these terms is the Jungian psychological type. It involves understanding our most natural leading tendencies, which are the result of the unique combination of Jung's attitudes and functions. VB: You say, "Even when I'm at my best my opposite color energy will see me at my worst." Would you explain this rather surprising comment? Scott Schwefel: It is surprising for a lot of us. Not so surprisingly it's also a reason many of us get into trouble in our interpersonal communications. This is because we're naturally going to show up as our best natural self – leading with our natural preference. If we happen to be communicating with someone who comes at us from the position of an opposite psychological type they will tend to see us at our worst, because it's the least of what they see in themselves. And it happens most of the time. VB: Most of the time? Scott Schwefel: Absolutely, in the vast majority of cases. Because of a lack of awareness we may come across in a manner we believe is showing off our best self, and when we walk out the door and someone says, "How did we do?" we'll likely reply, "We were great!" Unfortunately, the other people who were at the meeting might say, "Scott was aggressive, over-bearing, and intolerant." And if they don't tell me I will have no idea I've come across this way. VB: We should be able to get clues from the reaction of the people we're dealing with. Scott Schwefel: We do. It's almost like an athlete learning a skill. There's a skill in understanding and interpreting the clues and messages people are sending back to us. A famous study by Dr. Albert Mehrabian in 1967 indicated that in interpersonal communication only 7% of our messages to each other are derived from the words we use. The rest is picked up through tone of voice, context, and body language. Dr. Mehrabian found that 38% of our messages are derived from tone of voice while 55% related to nonverbal behavior. As we become expert, or better communicators on the way to being expert, we learn how to pay attention to the clues we send each other. VB: Appreciate the gift of your opposite energy. How is this a gift? Scott Schwefel: Well it can be a gift when we choose to appreciate the opposite gifts which they bring. We do this through our personal level of awareness. If we operate in an unaware state of mind people of our opposite type will drive us crazy. We won't realize why this is the case at the time, but it's because they're behaving exactly as our opposite type. With the gift of awareness we can appreciate the things they bring to the relationship. VB: And we can bring out the best in them rather than thinking that their reaction to us is the worst? Scott Schwefel: We can actually help bring out the best in them. In that interaction we can work with them to bring out the best in ourselves as well. VB: "Give a person the color of energy they lead with." Is this the best way to relate to people, and perhaps to convince them to buy from you? Scott Schwefel: It is. I smile because I'm cautious here. This is where some people start to think, 'Oh oh. This is where your system becomes manipulative.' My message in all my speaking engagements and my teachings is that everything in human communication is manipulative. Even if we're being the best listener we know how to be we exist through self-interest, and sometimes that self-interest is to help others. The whole point of understanding personality type preferences is for me to show that I respect and honor what call Carl Jung called 'the otherness of the other', which is a true appreciation that people are different than I am. The number one thing I can do is move towards a position where I operate and communicate with others in a way that is respectful and honoring of their uniqueness. VB: "When the energy of another is different than you, you will find conflict in communication." What lesson does this offer? Scott Schwefel: There are two lessons. Conflict will often be present if we're operating unaware. When we become aware there still may be conflict but we have an opportunity to move from the potential of conflict to the potential of supporting each other through respect for what each other brings. This will create a better circumstance and a better outcome for both of us. VB: What are insights types, and how many are there? Scott Schwefel: At the level that we've just been discussing there is what we call the 4-Quadrant Model, which has 4 insights or color energies. These can be equated to Hippocrates' "4 Humors" from 2500 years ago – Sanguine, Phlegmatic, Choleric, and Melancholy. The sanguine temperament was considered to be basically impulsive and pleasure-seeking, phlegmatic was relaxed and quiet, choleric was ambitious and leader-like, and melancholic was introverted and thoughtful. Our organization, Insights, expands the idea of putting people into 4 quadrants to understand where they're coming from into 8 types, representing all 8 Jungian attitudinal functions. They represent every possible combination of introversion/extroversion, thinking/feeling, and intuition/sensing in an ordered pair. The model has been expanded to include 72 types, which demonstrates the intensity of those attitudinal functions. VB: "Our minds fill the blanks for us to lead to a conclusion." Does this mean we can often fool ourselves into false conclusions? Scott Schwefel: In fact, it's more so than often. There are so many things we believe to be true in the moment, whereas upon deeper reflection or inspection we find that the conclusions we've drawn were completely opposite to the truth. A simple example I love to use in my training is I show participants on a slide the word, "silk" and I simply ask them, "What does a cow drink?" 99% of the people in the room will come up with the answer 'milk', without realizing that they've drawn a conclusion through patterns held in their sub-conscious which is completely wrong. It happens almost every time. 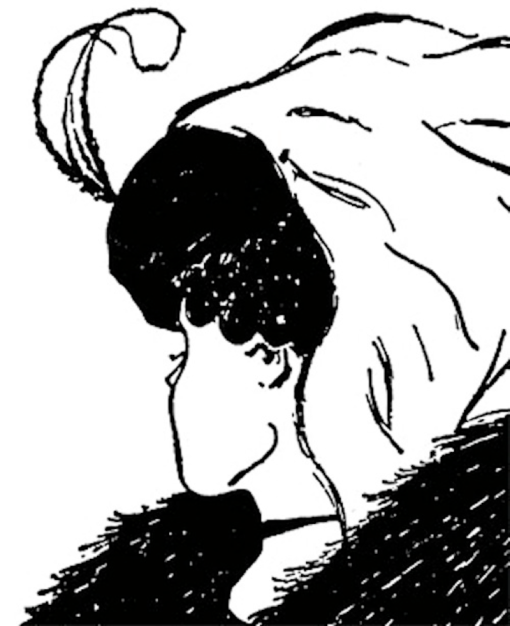 Old woman/young woman is another example if you're familiar with that image which so many of us have seen. Sometimes we see one; sometimes we see the other. We're drawing conclusions constantly and until we challenge those solutions we accept them as fact all the time. VB: You said sometimes we see the old woman; sometimes we see the young woman. Does that depend on where our headspace is at the time? Scott Schwefel: In the research I've seen it's often reflective of our personal age. Those of us who are younger tend to see the younger woman first, and those of us that are older – I put myself in that bucket – tend to see the older woman first. So there is symmetry here. VB: It's related to our 'actual' age, not to our perception or how old we feel? Scott Schwefel: I don't want to misquote the study, as I'm not sure. I know, however, that those of us who feel younger than we really are probably are younger than we really are. VB: In the same vein, "Our perception is what makes a reality real." How does this work? Scott Schwefel: It goes back to that quote from da Vinci where he said all of our knowledge stems from our perceptions. To reference a great example that you're probably familiar with, Christopher Chabris and Daniel Simons came up with a study they called "The Invisible Gorilla." They showed a tape with three people dressed in white and three in black and the viewers were asked to count how many times the people in white passed a basketball—those dressed in black were also passing a basketball among them. During this video a gorilla walked right through the middle of the group of six who were passing the basketballs among themselves, but virtually no one who viewed it saw the gorilla. When played it a second time but first the viewers were asked to look for a gorilla, 100% of them saw it. I use this video in my training because it so clearly demonstrates the power of perceptions. It's also the reason why goal setting is so important. The reason it works so well is that what we condition ourselves to look for in life we will always find. VB: You say, "We all have a talent, and our singular purpose in life is to discover and live that purpose." Would you talk about this? Scott Schwefel: Yes, I completely agree and believe this to be true. All of us have the opportunity to step back and get out of our normal routine to the point where we can allow who we are – our most natural self – to bubble up to the point where we can meet ourselves once again. Literally to be reminded when we were kids what did we want to be when we grew up? Those of us who remember what we wanted to be are fortunate. Those of us who are able to remember and to live it are the most fortunate. Unfortunately there are thousands of people who have no idea what it was. VB: It's surprising, isn't it? Scott Schwefel: I guess because of the work I do it's no longer surprising. I have many people who come up to me after an event or my speaking engagement, or send me an email after reading one of my books, and share their story about remembering what they were passionate about. VB: Do many of the people who tell you they are not doing what they originally wanted to be when they grew up actually change their direction, or do they often feel helpless because of they are successful so they continue on their current path? Scott Schwefel: The vast majority of people who come to this realization analyze where they are at in their life and decide there is too much pain to make the changes necessary for them to do what they would love. So they stay with what they're currently doing. Unfortunately many times they think that when they retire they'll have the opportunity and time to actually do what they love to do. Hopefully this is the case, but for most people it'll likely be too late. VB: Have you managed to move from success to significance? Scott Schwefel: With humility I would offer that I believe the work I do now is significant, and through doing this work I feel significance in most of what I do. It's part of what fuels my passion and gets me up in the morning – maybe a little earlier than otherwise – and motivates me to work a little later than many others. I believe the work that others like me and I are doing can have a significant impact. VB: You have been a successful entrepreneur. What advice do you have for young entrepreneurs starting out today? Scott Schwefel: The number one thing is sitting back and spending some time to understand what your passion is through introspection. Consider what you love and what you're good at. If your business encompasses those two things you'll never have to go to work a day in your life because it won't seem like work. This doesn't mean you're not going to work 60, 70 or 80 hours a week. If it's doing something you love you won't mind that you're working twice as hard and twice the number of hours as anyone else. You're bound to be successful. VB: You won't begrudge the many hours devoted to your business since it's your passion. Scott Schwefel: Passion is the necessary fuel for success, and it's necessary for dedicated effort to be maintained. VB: In a nutshell, what advice would you give young people about how to be successful? Scott Schwefel: Do a very realistic inventory of your personal skills and personal passion. Be honest with yourself about what you love, and then make sure you have a good understanding of what you're good at. Have it be a combination of understanding your personality style, your skills, and your passion such that you know you're moving in the right direction. It might take you 10, 15, or 20 years to get to where you want to be but if your career pursuit is always in alignment with these three things, you will always be moving in the right direction towards your ultimate career objective. VB: Is the concept of a 'career' valid today? VB: You train and coach CEOs, presidents, and senior executives. Do most of them have the same personality style, and is personality style one of the secrets to their success? Scott Schwefel: That's a great question. Not as much as many might think. There is a perception that to be the CEO of the organization you must lead with fiery red energy, be results-oriented, determined, and competitive. There are times when all of us as a leader need to be this way, but there are times we also need to be excellent listeners who are caring and demonstrate empathy. There are times when we need to be energetic, motivational, and drive others towards possibilities. There are also times that as a leader we better be strategic and cautious, accurate and precise. So all the energies we've discussed are required to be a good leader. You can lead from any personality type in our model. Scott Schwefel: Absolutely. Without self-awareness many times people try to lead and copy other leaders they have seen. If it's not your natural style you will never be good at it. VB: You are also a much sought after keynote and motivational speaker. What is it about public speaking that you enjoy? Scott Schwefel: It's hard to answer this question without a little bit of ego slipping into it, but I do feel good about what I have learned through 20 plus years in business. Part of the enjoyment of a keynote speech is being able to share a message about doing work that you love and are passionate about. It's about driving towards goals, living a fulfilled life, and being able to leave a legacy – these are some of the messages I love to deliver to people. Some people get it, it sticks, and it changes their behavior. Some people have to hear a motivational talk like this every year for 10 years. At some point the potential exists for the lights to go on for everybody and for them to say, "I am in charge of my future. I am in control of my destiny. I am self-aware and I get to live my life by choice." This is powerful. VB: Are you currently working on another book? Scott Schwefel: I'm not actively working on another book, but in the last few months as I have spoken and traveled I have quite often thought about my previous book, Get a Job Fast. It is doing well for people who are looking for work and yet the messages contained in it are equally powerful for people who are engaged in work. In fact, there are people who are currently working and successful, but are not living an examined life. Those are the folks I'm most concerned about because as long as they're successful they'll continue climbing up the ladder. My fear for all of them is that it may be the wrong ladder, and when they get to the top it'll be too late to climb back down and start over. VB: Would you go so far as to say, "An unexamined life is not worth living?" Scott Schwefel: It's a quote I feel strongly about. Yes. I would. VB: Who should read I Think I'll Stand Up, and why is this a powerful question? Scott Schwefel: I wrote the book for young adults, for teens in particular, to help them understand that the choices they make in life will determine their quality of life, and that everything in life is a choice. Everything. I've spent so much time talking to my children about the importance of what they choose to do in life that they now catch me when I make a comment such as, 'I have to fly to San Diego to give a talk'. My thirteen-year-old daughter will say, "Dad, you choose to fly to San Diego." So it's coming back full circle. It's the key message in the book. We can choose everything that happens in our lives. VB: Do you think that it's not just young people who would benefit from reading I Think I'll Stand Up? The book is for anyone who does not know that every decision they make determines the quality of their life every day, and they are free to make decisions which affect their lives. VB: You have given away for free over 25,000 copies of this book. Why? Scott Schwefel: When I wrote the book not long after I sold my first business I posted it in its entirety on the web and permitted downloading it for free. The purpose of the website was to deliver a message about self-confidence which I had personally delivered to many people. Interestingly, if you fly next to me you will hear this message. And if you're my cab driver you'll also hear this same message. It was spread by word of mouth. I reached the point where I realized there are a lot of people who don't have access to me, but they needed to hear the message. I've received hundreds of emails expressing 'thank you' for the free download from people in India, of all places. VB: I wonder why India. Scott Schwefel: I've thought about this as well. I think there is a high use of the Internet and of technology in India. Also, there exists a highly educated work force, which hasn't been introduced to the concept that you can be anything you want to be based on the choices you make. VB: India has a workforce which wants to be mobile. Scott Schwefel: Absolutely, many Indians want to work and deliver value. Perhaps it's a workforce which has spent more time becoming career ready and less time in self-examination. VB: There's obviously stiff competition for the good jobs that exist in India. Scott Schwefel: This stiff competition is now worldwide. VB: Will reading Get a Job Fast be of interest to people other than those seeking a job? VB: You lived with the Hadza and Massai tribes in Tanzania. For how long, and what were some of the insights you learned from this experience? Scott Schwefel: I spent a month living with them. I lived with the Hadza and Massai along with one of my favorite authors, Richard Leider, who has written 25 global best sellers about the questions, 'Are you doing work that you love?' and 'Are you living your life's mission?' I think he is a brilliant man and does brilliant work. On the trip to Africa Richard and I were able to experience what our lives would be like with all the trappings associated with living in today's world taken away. We woke up every day and squatted around the fire with a group of hunter-gatherers who spent three hours at a time just sitting and occasionally talking with each other – but only occasionally. This is more time to think than most of us experience in America in our entire adult lives. VB: The Massai are nomadic herdsmen and the Hadza are hunter-gatherers. Scott Schwefel: They are, and the consistency between the two tribes is the amount of time they spend in reflection. VB: You were able to participate in that reflection? Scott Schwefel: What Richard warned would happen, and it truly did, was that when you go on a trip away from your family and work the first week you think about your job. You think about work and all the work you could be doing, but most don't take vacations beyond one week. Well, if you take two-week vacation without your family during this second week you start to forget work, and start to miss your family and think about the times you've spent with your family. Almost no one takes three weeks off work much less four weeks like I did. Sometime during the third or fourth week you forget your job and to some extent you start to forget your family. You wake up fresh or renewed in a kind of unanswered state thinking about the question, 'Who am I, what makes me tick, and if I could do anything what would it be?' By the fourth week of our trip to Africa – there were 12 of us – we started to say, "I'm looking at a clean slate in my life, and if I could return to the past what would I really want to do?" This is what led me to do the work that I do now. It's where I made the decision to sell my technology business and do this work. VB: This experience led you to a powerful insight. Scott Schwefel: It was fantastic. It was one of the greatest self-awareness trips of my life. VB: You and your wife, Linda, have three children. Have they benefited from reading I Think I'll Stand Up? Scott Schwefel: Yes, they've all read it and I like to think they are benefiting from it. They've had to live with me for the last 20 years as I've developed these principles. If you were at our home you would see motivating messages on their mirrors and the fridge. I'm real big on setting and posting goals for ourselves, and choosing at a conscious level the quality of our future life. One of the things I like to share with people is we keep dry erase markers in every bathroom in our house and write messages to each other about motivational statements, goals for the day, things we'll choose for ourselves, and the continual reminder that we choose the life we lead. VB: No doubt your children are going to be successful in life. Scott Schwefel: I hope they are because I tell them that they've got to take care of me later in life. VB: You have said you learned how to sell from your wife, Linda. What were some of the secrets she shared with you? Scott Schwefel: One of the things which resonated with her as she grew up, and she still exhibits today, is the idea that whatever you want to make happen in the world simply get up, step up, and take some action. I grew up more reserved and reactive. In fact, I was reactive in life until I turned 25 when a friend gave me an Earl Nightingale cassette tape called, 'The Strangest Secret'. It was recorded in 1956. This was the beginning of my realizing what my wife knew from a very early age. It was that if something is not going the way we want it to go in our world we can choose to take action and make it different. This is the gift she gave me. I was able to watch someone take charge of where they wanted their life to go and who they wanted to become, and then simply execute it. VB: Someone who is introverted can consciously decide to become more extroverted? In fact, the opposite is also true. Those who are more extroverted can and often need to operate in a more introverted way, because all of us need to reflect all the personality types at various times in order to be at our best. VB: When we operate in a more introverted way does it mean we are likely to be more thoughtful? Scott Schwefel: It absolutely does, and looking at our model there's an introverted thinking style which we could describe as focusing on facts, data, and logic. There's also an introverted feeling way that we can choose which is more thoughtful, with a focus on people, empathy and relationships. VB: Do you have any final comment for our IdeaConnection readers? Scott Schwefel: It's probably not a new topic, but I would say all of us choose every day the quality of our lives by every decision we make. And every decision we make we can change. Scott Schwefel's message about passion strikes a cord. His advice to young entrepreneurs applies to all of us: "…understand what your passion is through introspection. Consider what you love and what you're good at." His description of energy levels and learning to understand our own and others' preferred energy will give us useful insights for how to behave in our business and personal lives. Perhaps we could even go so far as to say it will enable us to learn to behave appropriately in all of our interactions with others. Scott Schwefel founded Benchmark Learning in 1995, growing the business to become Minnesota's largest technical training company. In 1997 and 1998 Benchmark was named to Minnesota's "Fast 50" listing of the fastest growing privately held companies in Minnesota. In 2002 Scott Schwefel was named to Minnesota's "40 under 40" listing of top executives in Minnesota, under age 40, published by The Business Journal. He founded selfconfidence.com and getajobfast.com. Scott Schwefel began facilitating team-building sessions, and delivering Sales and Leadership events in 1990 using numerous world-class psychometric instruments. After selling his interest in Benchmark in 2003, he launched Insights Twin Cities to teach and train full-time. He is Managing Partner of Scotland Based Insights Learning & Development in the Twin Cities. 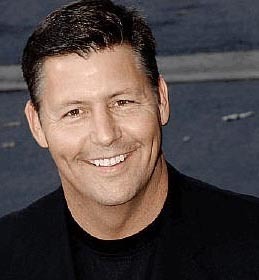 He is a sought after keynote speaker, and trains and coaches CEOs, Presidents and Senior Executives. Scott Schwefel is the author of Get A job Fast: How to Get a Job in the Toughest Job Market in 75 Years (2011) and I Think I'll Stand Up: Finding Your Personal Path to Success and Self-confidence (2004), and a contributor to GPS (Goals & Proven Strategies) for Success… from the Industry's Leading Experts (2010).